Ventspils reached a new agreement with team captain Akselis Vairogs to stay together in the club's Eurocup return this season. 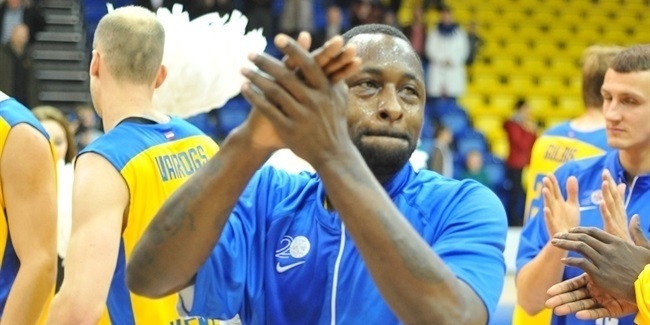 Vairogs (1.95 meters, 28 years old) has played for Ventspils for the best part of his career. He joined the club's vinculated team Ventspils augstskola in 2002, playing there for three years. Vairogs has also played for Ventspils in 6 of the last 8 seasons. He averaged 9.4 points and 4.7 rebounds in 25 Latvian League games last season, helping Ventspils win the title. He has also played for Slask Wroclaw in Poland, Valmiera Lacplesa alus and Zemgale Jelgava in Latvia and JSA Bordeaux Basket in France. Vairogs has also been a member of the Latvian national team. He also lifted another Latvian League trophy with Ventspils in 2009, as well as winning the Baltic League title in 2013. "Of course, I am pleased to stay in Ventspils," Vairogs said. "I cannot promise anything, as I always did, but I can safely say that we will fight to try to win every game."